The team: Dileepa Ranawake, Adam Bovan, Michael Anson, Darren Crombie, Thomas Hurt, Ian Yeo, Luke Clayton. 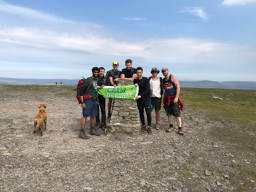 Last weekend seven C4DI members, Dileepa Ranawake, Adam Bovan, Michael Anson, Darren Crombie, Thomas Hurt, Ian Yeo, Luke Clayton and their very adventurous Labrador companion, Cilla, joined forces to tackle the Yorkshire Three Peaks, to raise money for children's charity Child Dynamix. 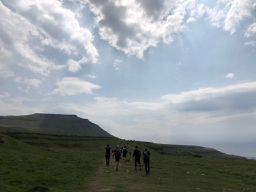 The team approaching Ingleborough - the final ascent. Child Dynamix is a Hull-based charity that works with children and young adults from disadvantaged backgrounds. By giving the children access to support, mentoring and a positive community the charity aims to give the Children a head start and hopefully change the course of their lives for the better. The team has now raised over £1.4K for charity through donations from C4DI members, friends and family. The Yorkshire Three Peaks course is 24.5 Miles long with around 2180 meters of gruelling elevation gain. 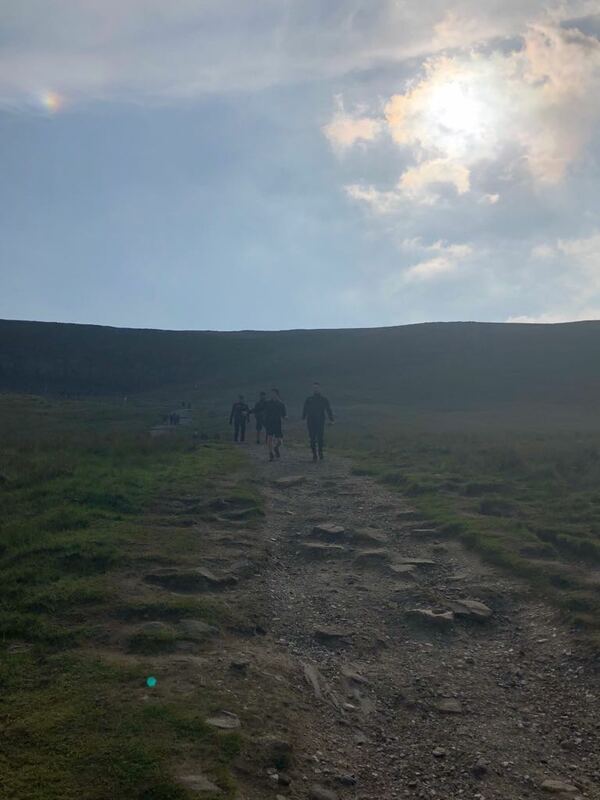 The team left Hull just after 4 am on Saturday 26th May and got to the start point in Yorkshire to begin the hike by 7 am to make sure they had plenty of light for the hike. For many of the team, it was the first time they had hiked the route and was certainly one of the longest distances any of them had traversed on foot before. A scale, 3D Printed replica of the route, presented to the team by C4DI Member Nfire Labs. 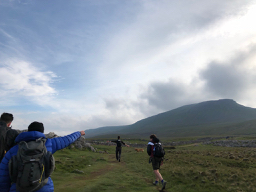 Despite strong winds on top of the peaks, near verticle scrambles on the final peak Ingleborough, the team manage to make good time around the course - completing the route in 9 hours and 18 minutes. After completing the route the team was presented with a 3D printed trophy by C4DI Member, Nfire Labs. The trophy was a scale model of the route taken directly from the teams GPS readings and converted into a 3d printed route map. "Seeing my dog Cilla try to scale the her first peak and really struggle to get up some of the steep rocks I suddenly began to regret bringing her along for the walk. Fortunately the start was the hardest part of the walk. 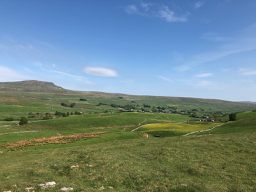 Once we climbed to the top of Pen-y-ghent and I looked back, that regret dissipated and both Cilla and I thoroughly enjoyed the rest of the hike. My favourite part was the ascent to the top of Whernside which had 35mph + winds whipping across the top. To escape the wind we huddled behind the wall at the peak and for a quick break. 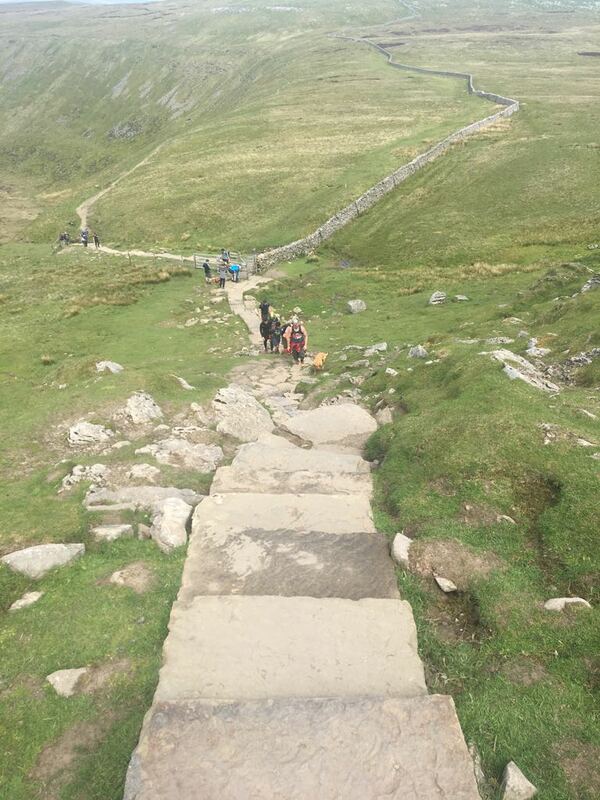 All in all it was a brilliant day and will definitely be doing the 3 peaks again!" To learn more about the challenge and support their fundraising efforts please click the 'donate' button below to get directed to their Just Giving team page.